Next Workshop Wednesday October 15th!! And pics from the first workshop! Hey Y’all! The All-Levels Lower Body Mobility Workshop was awesome!!! We went over a ton of lower body mobility drills; from knee balances to deep squat movements. Above is a video of a couple active stretches we did at the end of the workshop. I’m going to hold another Mobility Workshop on Wednesday October 14th, from 6:30 to 8:00 Pm at the studio!!! This workshop we’ll be working on self-myofascial release (SMR aka foam rolling), spinal mobility, and active/deep stretches for the spine. We spend so much time arching our spines forward that for some people it eventually becomes permanent. Come out on October 14th to learn the Tools to maintain a healthy spine through simple movements. The workshop costs $25 if you buy before the day of or $30 at the door. Class size will again be limited to 8 people so RSVP quick if you plan on attending!!! 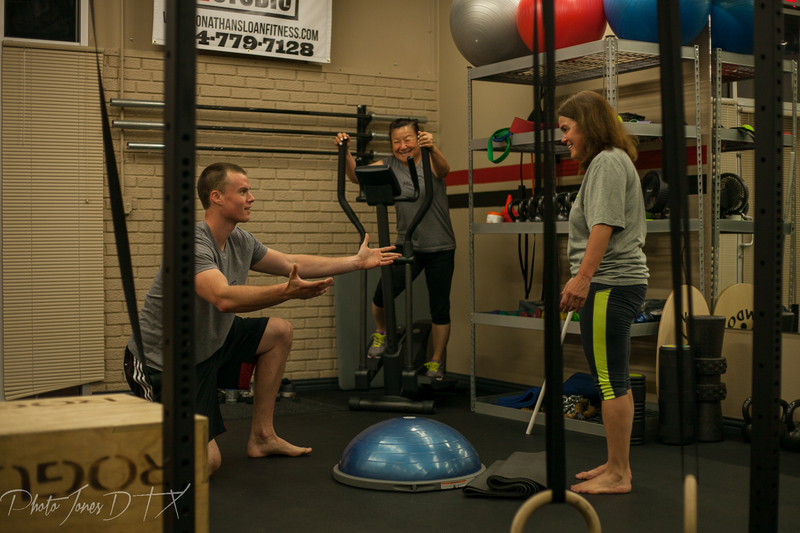 All-Levels Lower Body Mobility Workshop 9/22 from 6:30-8PM!!!! Come out Wednesday night for an all-levels Lower Body Mobility Workshop. This class is designed to teach you how to gain more flexibility, more range of motion, and the ability to move in and out of the deepest parts of your range of motion with control and strength. Movement is the bodies natural way of healing most physical ailments. These exercises when done properly and practiced consistently, can help get rid of pain in your lower body joints and lower back, get you sitting more comfortably in a deep squat, and make you a more effective mover. This classes purpose is not to give you a workout, although you will definitely be feeling it the next day or two. The purpose is to give you tools you can take home with you. I encourage everybody to come with a pen and paper so you can use this as a learning experience (no videos). Doing mobility work on your own consistently is absolutely critical to preventing injuries, maintaining strength, and becoming a better mover. Class will be 90 minutes long. Cost per individual is $25 if you pay before noon the day of or $30 if you pay at the door. There will also be a drawing at the Mobility Class for somebody to get $25! To be entered into the drawing, write a review for Jonathan’s Private Training Studio, LLC on google or yelp! Class size will be limited to 8 people so get your spot quick! Contact me at info@jonathansloanfitness.com or 214-779-7128 if you have any questions! If you can’t pay in person you can pay with your phone on the squarecash app.